Some people enjoy public speaking. I would like to be one of those people. I’ve had moments during public readings or radio interviews when my heart beat so fast I could hardly breathe. I had a television audition during which my mouth became so dry that I couldn’t separate my tongue from the roof of my mouth. I learned about Toastmasters from Mike Dooley’s book, Manifesting Change. Dooley’s first Toastmaster speech was on the topic, “Thoughts Become Things.” He is now a professional public speaker. 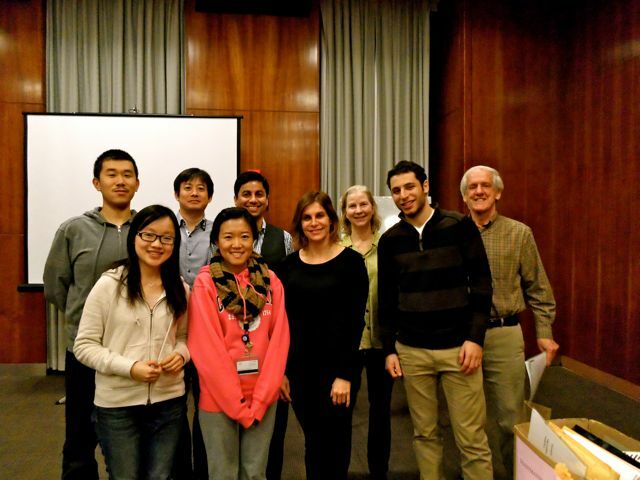 I went to my first Toastmasters meeting last Wednesday, along with several other first-timers, most of them students at nearby Columbia University. Presiding Officer, Vic asked all the guests to introduce themselves. Then Toastmaster, Carole, introduced the word of the day: motivation. Next, two speakers presented speeches. 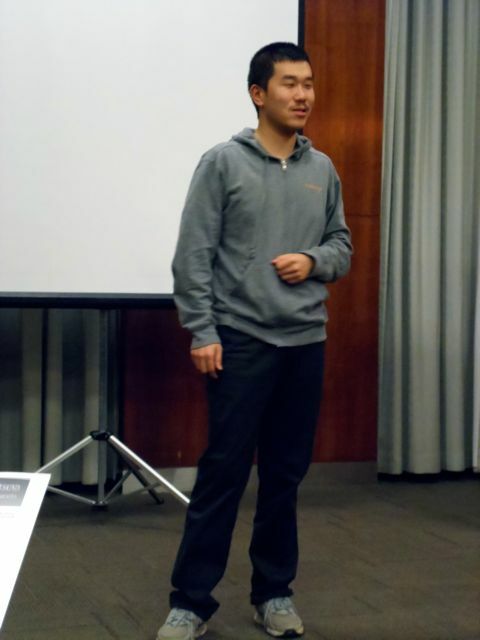 Thomas, a Toastmasters regular, gave the first speech, “Happy Year of the Snake.” He used the floor space and aisle, asking listeners, “What do you associate with the snake?” Thomas explained that the lunar New Year means a lot more to him than January 1st. He said the snake is good for money and flexible so we could expect a good year of change and financial fortune. Vic talking on Privilege and ResponsibilityNext, Vic spoke on the topic, “With Privilege Comes Responsibility.” Vic recounted his defining moment, when as a child in India his bicycle broke down on the way to school and a young boy helped him fix it. The boy said proudly, “My elder brother goes to school.” This boy was working in a garage to help his brother study. Vic realized then how privileged he was and determined to use his gifts to help others. Next came a section called “Table Topics” during which Vice President and Topics Master, Rory, called on attendees to speak for two minutes or less on various topics, including the Superbowl electrical malfunction, whether the New York Times should continue in print, whether St. John the Divine Cathedral should sell abutting land for tower blocks, and whether many children or a single child is better in a family. I was asked to speak about what I would choose if I were on an important business meeting and asked to select a wine to accompany fish. My knowledge of wines is so poor that I admitted I would have to request assistance from someone in the know. After an anonymous vote, prize bookmarks were awarded to Vic for Best Speech, newcomer, Nora, for her 46-second Table Topics answer to the family size question, and Thomas for best evaluator. All speeches are timed and measured by an Ah Counter for the number of sounds used as a crutch. I expected my Ah Counter to be off the charts, but it was zero. Toastmasters is such a relaxed environment in which to learn confidence in public speaking, I’m actually looking forward to giving my first speech.